You might not have considered stripes when choosing carpets before, but it's an increasingly popular choice especially for areas such as hallways and staircases. You can choose from subtle colour combinations or higher contrasting stripes such as the monochrome styles below. A more dramatic stripe is perfect where the rest of your decor is simple; if you're feeling bold, brighter coloured stripes can also be a great look. 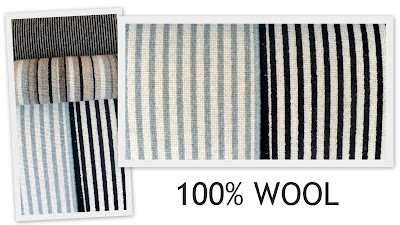 We currently offer several different striped styles of carpets including the 100% wool carpet above which is tightly woven to give it durability and strength. Each of the colours you can see are also available as plain styles which means you can create a coordinating and unique flooring look for your home. 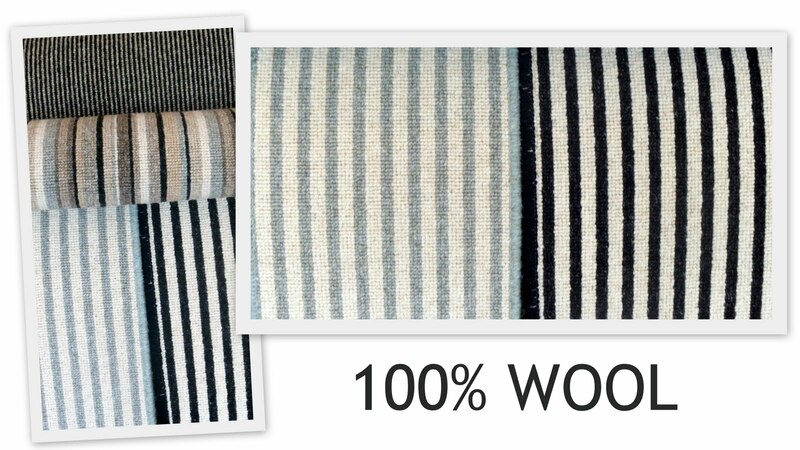 For a cost effective striped carpet, the man-made option below is hard-wearing enough for all areas across the home. It's also available in two qualities so there's an option for all budgets.